My best friend of many decades moved to Ohio to take care of family. After a period of stress, sadness, and grief, she and her sister were given a joyous opportunity to take over the Pure N Siimple Supplements and Natural Food Store in Delaware, Ohio. 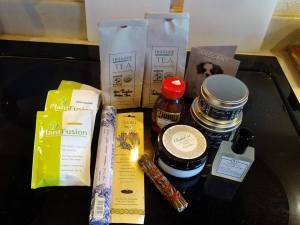 I recently received a gift box containing a sample of their wonderful wares – locally made honey, skin care products, and candles, plus incense, green tea, jasmine pearls, and other goodies. She asked me if would send some dreamcatchers and jewelry for her shop. Being back to work full time, it’s been slow going, but I’m making progress. I like being able to work on my art and crafts after work and on Sunday while I’m listening to No Agenda and TWiT. 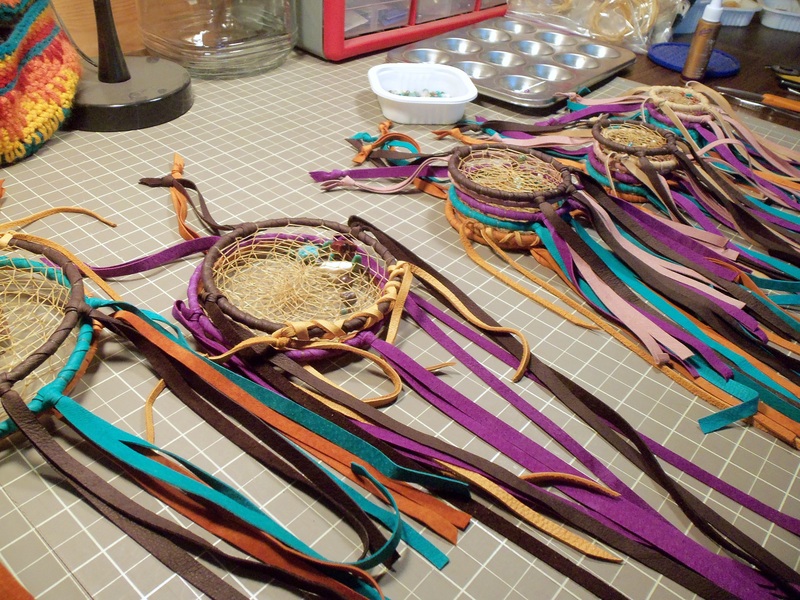 Here are some of the dreamcatchers I’m making for her. I also have a few small ones ready to turn into jewelry like I have featured in the Bracelets and Necklaces sections of my Etsy shop. 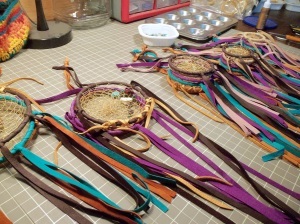 This entry was posted in From the Workbench and tagged dreamcatchers, workbench by Deborah Lee Soltesz. Bookmark the permalink.